I love my shiny new stainless steel pans. 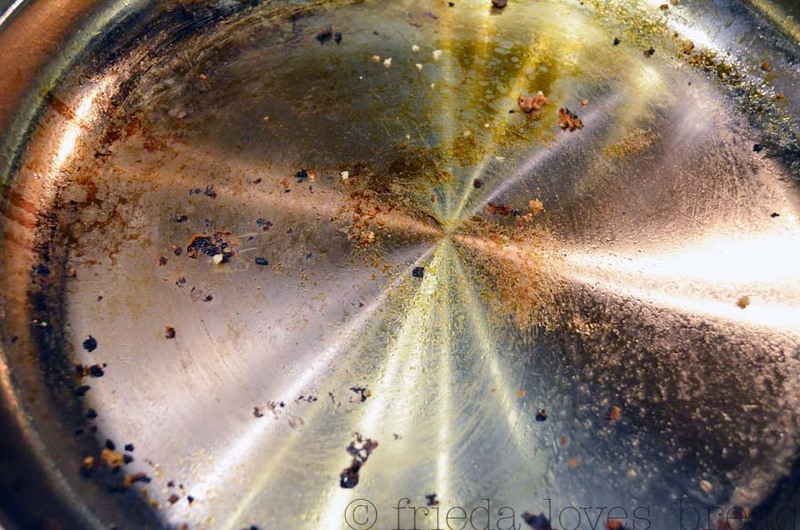 I poured some water in the pan, heated it and removed as much as I could. 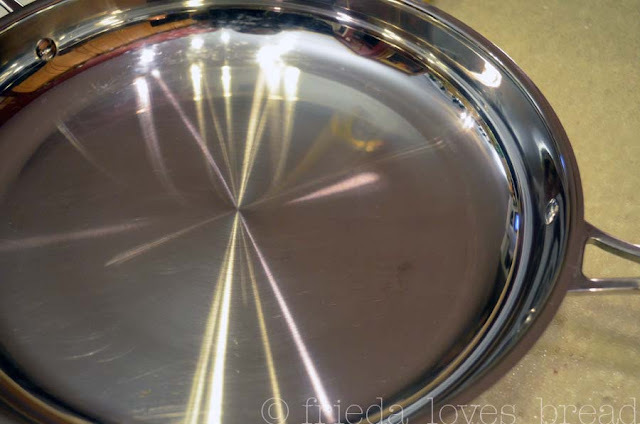 Still, it was a sad looking pan and I wanted it to be shiny and new again. Say hello to Bar Keeper's Friend! A rinse ... and ta ~ da! Thank you, Bar Keeper's Friend! Where have you been all my life? I discovered that magical cleaner a couple years ago. It's amazing on glass, metal, & more...and SO cheap! Love it...now it's a staple in my cleaning closet! This is on my shopping list now. Thanks for sharing. I found this at Winco, but I am sure you can find it at Walmart or in any of the local grocery stores. Love that stuff! Mary Hunt (Debt-Proof Living) recommends it, and we use it a lot. 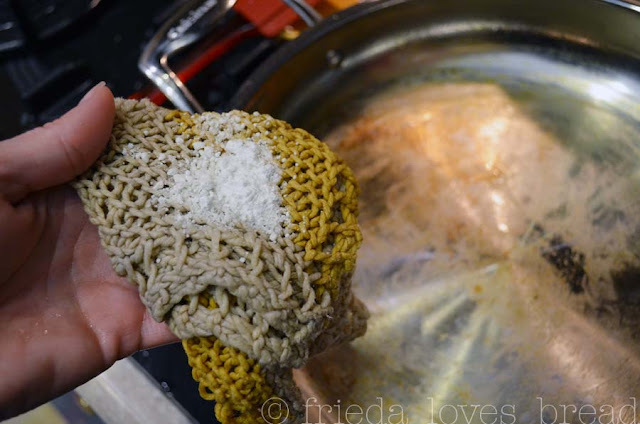 Love the knit dish cloth, too! If you ever need any, let me know; I knit them. LOVE the knit cloths! They are durable, scrub really well and last a long time! I can't knit worth a darn ~ When I run out of my stash, I'll let you know! Will this work on my stainless refridgerator ??? I've tried everything and absolutely nothing works !!!! Pleae help !! My problem is fingerprints. Thanks a bunch !! She uses it only when her fridge gets "bad enough" to clean. Says it doesn't have any oily build-up and doesn't leave any streaks. You can find it at your home improvement store, ie, Home Depot or Lowes. Good luck! 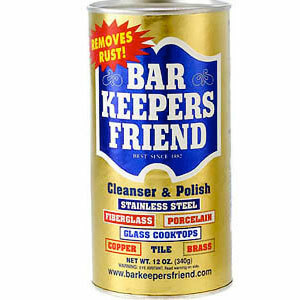 I LOVE bar keepers friend!! It's amazing! I love the liquid version of this. It is amazing. I have also used baby oil on my SS fridge.